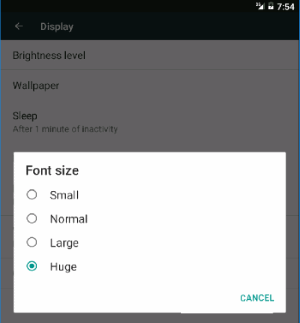 Android: How to Increase Text Size? There are many ways to make the Android OS easier on the eyes without rooting. 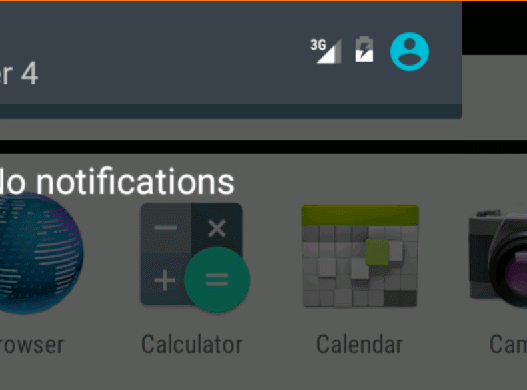 This option is not available on all Android devices. If it is, it may be located in different spots. In most cases, you can find it under “Settings” > “Display” > “Font size“, and set the font to a desired setting. On Samsung devices, the option may be called “Screen zoom and font". This setting may not have an effect on the items on the Home screen or the launcher. It will also not work in certain apps. If you want to be able to increase the visibility of everything including the Home screen, enable “Magnification gestures”. Go to “Settings” > “Accessibility” > “Magnification gestures“, and turn it “On“. This setting allows you to triple-tab the screen to zoom into any screen.